Please be careful. " @ " in E-mail address is replaced by " ! " to prevent the spam mail. For example, the correct address of " abc!w-g.jp " is " abc@w-g.jp ." Situation of present world is shown. Newsmentioned here is a common sense for people inthe present age. But it is necessary to mention itfor readers in later age. 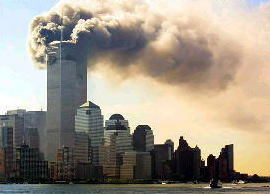 Especially, we cannotomit the terrorist attacks in USA on 11September 2001. The photo is World TradeCenter attacked. Economic situation is also important.Disparity between developed countries anddeveloping countries are large. Economicsituation of present age is introduced. Here, articles of member are introduced. In the present world, there are many important issues. Here, let me introduce two issues. One is terrorist attacks in USA on 11 September 2001 and another is economic situation in the world. On 11 September 2001, terrorists attacked USA at some points of USA. Two jetliners clashed into World Trade Center building, one jetliner clashed into Pentagon building, and one jetliner clashed into ground. The photo in the page of contents is the attack at the World Trade Center in New York. These attacks killed more than 3,000 people. Terrorists studied the way of controlling the jetliner, hijacked the jetliner, and clashed into the target. It is said that the leader of these attacks is Mr. Osama bin Laden of al-Qaeda. Mr. Laden is a rich Saudi Arabian and al-Qaeda is a terrorist group lead by him. On the other hand, Taliban is an Islamic guerrilla that was ruling 90% of Afghanistan. Al-Qaeda was in Afghanistan and in cooperation with Taliban. So USA attacked and occupied Afghanistan. In this case, there was some information. Some people say that USA wants to occupy Afghanistan because USA will build a pipeline from Caspian See to Arabian See. And some people insist that USA were aware of the attack before it was implemented. If so, it was just like a Pearl Harbor. In 1941, Japan opened the Pacific War against USA by attacking Pearl Harbor in Hawaii. But USA had already known this attack. It is said that USA did not know the target but knew the attack. USA tried to manipulate the public opinion which did not support war. At the point of May 2003, USA is occupying Iraq after war of 3 weeks from March 2003. USA insisted to disarm Iraq because Iraq has some relations with al-Qaeda and have mass destruction weapons. But it is clear that the object is the second largest oil deposit in Iraq. Important thing in these issues is that USA sometimes ignores the United Nations. We cannot build a democratic world without respecting the United Nations. Now let us review economic situation of world. From TABLE I-1, we can see some important features of world economy. With regard to the component ratio of world GDP (Gross Domestic Product) in 1999, USA accounts for 30.3% of world GDP. Japan accounts for 14.4% and United Kingdom account for 4.8%. Total of USA and Japan is 44.7% and total of above three countries is 49.5%. On the other hand, Africa accounts for only 1.0%. With regard to GDP per capita in 2000, Japan is $38,163, USA is $34,733, and United Kingdom is $23,774. On the other hand, China is $847 and India is $456. In Africa, although their data are not cited here, for example, Ethiopia is $101 and Rwanda is $236. Like this, income disparity is very large in the world. So we need philosophy appropriate to this age. * Hong Kong and Macaoare not included. ** The above plus others. SOURCE: Yano-Tsuneta Kinenkai, Sekai Kokusei Zue, 2002/03 (Tokyo: Yano-Tsuneta Kinenkai, 2002), relevant pages. Here, opinions of members are introduced. The World is a member of World Citizen Network. He proposes, in his mail, the World Parliament with delegates of 60,000. His mail is as follows. 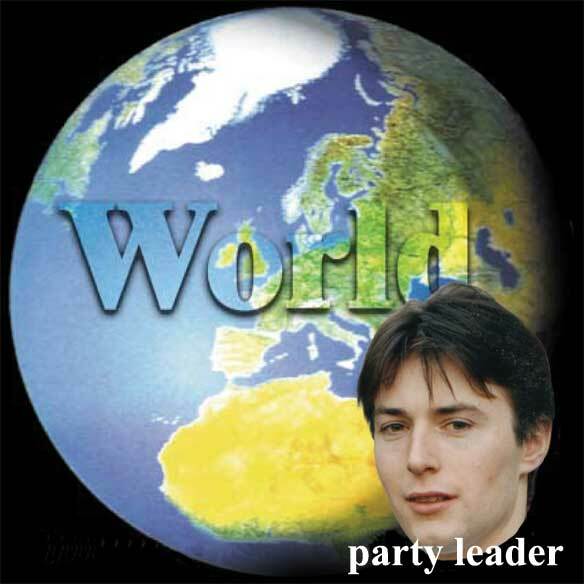 At the UK political party "World", we shall be pleased to assist with the World Citizen Party Network. We would prefer to see 60,000 members of the world parliament (MWPs), rather than the 1000 proposed on http://w-g.jp/wp/. The average MP's constituency in the UK has a population of 100,000 people. This allows personal contact between the MP and his constituents, and prevents success in elections relying too heavily on a candidate's media image. For 1000 MWPs to each represent 6 million people would unhealthily inflate an MWP's ego & unfairly ration an MWP's personal contact with constituents and would punish candidates who are genuine, hard-working & likeable people but unskillful with the media or incorruptible by its owners. At "World", we are developing a computer system that 60,000 MWPs each representing 100,000 people could use on a peer to peer network of laptop computers to securely but openly debate and reach decisions on world government policy, without requiring any MWPs to leave their constituencies. "World" seeks to encourage many people to consider themselves world citizens and work towards the party objective of a worldwide participatory democracy. See http://www.eudaimonic.com. The web site http://www.electoralcommission.gov.uk/reports/sum_gb_237.htm details our official registration with the UK Electoral Commission on May 11th 2001. This allows us under UK electoral law, to put forward candidates to stand in general and local elections, everywhere in the UK. Isabel could for example contest a London constituency at the next election, with her surname alongside "World - for a worldwide participatory democracy" on the ballot papers. There is free publicity provided to political parties which contest elections (in the UK at least). You might all consider standing in your respective countries. Any European Union citizen can stand for election anywhere in the European Union. Some similar freedom may apply to you also. Ultimately we should pass a law in each country that legitimates the world parliament and declares its decisions to be binding. Providing the concept of world parliament gains majority support, this will have credibility. The following is his mail. For the peaceful world, would you like to sign your name for "establishment of the World Government"? Why tragic terrorism and war have so happened repeatedly and persistently? I think one reason exists in the politician's state of mind that has been eager to contribute only to their nation's profit and safety. Now, they should conduct their affairs from point of view of promoting the international interest and the safety. In the present situation that many countries have their own armed forces, it is hard to promote world peace. The United Nations was established in 1945 to promote nation's cooperation in relation to world peace, economic and social development. However the UN seems to be a rather loose association of nations where the representatives discuss about important issues unfortunately in vain. And the UN seems not to have enough power to turn the peaceful world in reality and to get rid of poverty on the earth. Provided that we have more powerful "world government" than the UN, we could settle or dramatically improve the above problems. 1. Abolition of armed forces, nuclear weapon and other mass destructive weapon all over the world. 2. Foundation of a new world police. The new world police have strong power able to control international terrorism and war. 1. Collecting signatures from anyone who agrees to our ways of thinking on establishment of the world government. 2. Opening the collected signature (name and country) to the public every month in our home page. 3. Submitting the signatures to the UN and/or the Government as the occasion demands. (*)We swear we will have used the signatures only for the peace movement. 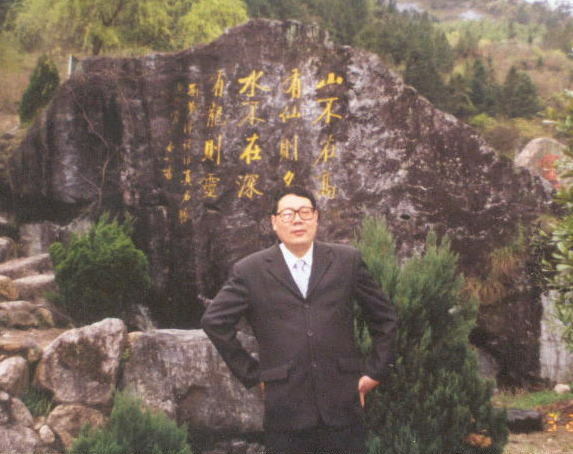 Mr. Zeng Zuqing, World Government Institute China, proposed author to make the Statute of World Party. He sent author some comments. Author was stimulated by this and wrote a draft. Also Dr. Mohammad Amin, World Party Pakistan, wrote a draft. They are published on the web site of World Party. Here they are introduced. Articles are introduced according to the alphabet of country. 1. World party is at its primary stage, it is comprehensible if it is incomplete. A mature party should have its broad mass foundation. A first-class political party should have its scientific ideology to demonstrate its necessity, task, mass basis, developing trend and position in world history, and help it to formulate a series of scientific policies. 2. World unification should be social progress. The future world social system will be Liberalism and market socialism. World party should set up a special research center to study their identity and form unified ideology of Liberalism with market socialism, which should also be our world party's ideology. 3. Democracy is relative, if we practice democracy among world party members and entitle them with equal vote, that will be undemocratic to world people because the members are unevenly distributed among nations and their political beliefs are different, if we are democratic to world people we should entitle existing members with different votes roughly according to their nationality while considering their interest also. We are world citizen. We the people heartily hope world peace and human happiness. We believe our duty in the 21st century is to establish the world democracy. Now it is possible with the help of information exchange through Internet. Basic policy is to establish the World Federation and World Government. Here, the World Federation is a worldwide federation of independent countries and the World Government is a central government of federation. World Government is concerned with only limited aspects of society. Namely, in principle, it is concerned with only the control of military force, the issuance of currency, and other political and economic problems that individual country can not solve for itself. Other aspects of society such as religion, economic and political system like liberalism and communism, science, agriculture, commerce, industry, arts, sports, tradition, etc. are left free to each country. So, member can have faith in any religion. His or her faith is recognized as a private matter. Politics and religion are divided in the World Party. The name of this party is "World Party." Basic policy of World Party is to establish and maintain the World Federation and the World Government and tackle the domestic and international issues that individual government cannot solve for itself. As a first step, we are aiming to establish the World Parliament without legislative power like European Parliament. World Party Convention is the supreme body of World Party. The Convention elects the president of party and other directors such as spokesman, treasurer, secretary, etc. The Convention is held quadrennially. The venue changes every time. The Convention is held, in principle, in different country. The World Party Convention is approved regardless of the number of delegates as far as following conditions are fulfilled. 1. The notice of World Party Convention has been issued at least 1 year before the date of opening. 2. The venue is not difficult to access as compared with other venues. Namely, the venue can be accessed without special difficulty and the visa for delegates is issued without special difficulty. 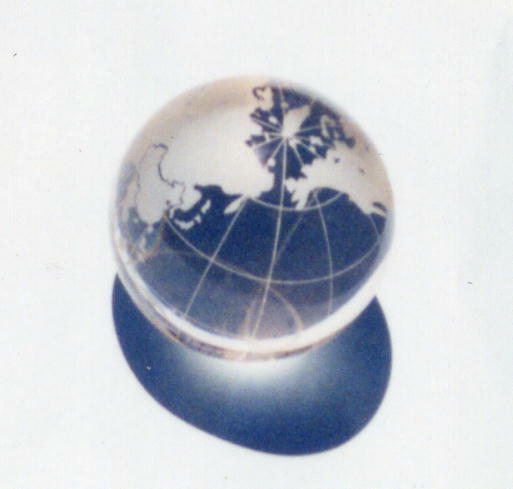 World Party has an International Secretariat as its headquarters. World Party has a branch in each country. Basic policy of each branch is same as World Party. But each branch can have its own policy. For example, a branch in one country can declare the liberalism and a branch in another country can declare the communism. Condition of member of each branch is specified in the statute of each branch. Member of each branch must pay member due to branch. Each branch must pay the due to International Secretariat of World Party. The amount is 10 % of revenue of branch. But this proportion can be reduced according to the increase in the number of branches and in the amount of revenue. Each branch can send its delegates to the World Convention. The number of delegates is, in principle, in proportion to population of each country. At the Convention, in principle, each delegate of branches shall have 1 vote. This is specified in detail as follows. The number of delegates and the number of votes are decided in the way same as World Parliament that World Party aims to establish. The numbers of delegates and votes are basically 1,000. A numerical example of apportionment of delegate is as follows. It is assumed that the world population is 6 billion, of which China 1 billion and 180 million, India 956 million, USA 266 million, Japan 132 million, Western Samoa 161 thousand, and Cocos Islands 1 thousand. Total number of delegates is basically 1,000, so the delegates from China are 196.6667, from India 159.3333, from USA 44.3333, from Japan 22.0000, from Western Samoa 0.0268, and from Cocos Islands 0.0002. In this case, the delegates from China are 197 of which the last delegate has the 0.6667 vote. Similarly, delegates from India are 160 of which the last delegate has the 0.3333 vote, USA 45 delegates of which the last delegate has the 0.3333 vote, Japan 22 delegates. The delegate from Western Samoa is 1 who has the 0.0268 vote and Cocos Islands 0.0002. Therefore, the total number of vote is approximately 1,000 but the total number of delegate is more than 1,000. At the time of voting, decimal votes are classified into some groups. For example, 0.6667 vote of China and 0.3333 vote of India and USA are calculated as 1 vote. 0.0268 vote of Western Samoa is calculated as 0.1 vote. 0.0002 of Cocos Islands is calculated as 0.001 vote. Namely, decimal vote is carried to upper digit. By this procedure, all the votes are classified into 4 classes, namely, 1, 0.1, 0.01, and 0.001. This is a procedure to simplify the counting of votes. But, if a country which has 100 votes sends only 50 delegates, the votes are 50. This is because 1 delegate can have only 1 vote. Election of delegates of each country must be implemented fairly and transparently. The World Party Convention has a right to refuse the delegates if there is any unfair practice. Approval of delegates from each country is not necessary as far as there is no objection. But when there is an objection, the delegates from a country objected must get the approval by delegates from other countries. In the process of approval, the country objected can explain their situation but the ballot of approval is implemented only by countries other than the country objected. At the ballot, the country objected must get more than half of the votes. 1. (It is right that) World Party Convention is the supreme body of World Party. The Convention elects the president of party (and a body may be secretary/co-ordinator, treasure, Webster, Judge etc). The Convention is held quadrennial. The place changes every time like World Cup and Olympic Games. (No, it will be on internet). 2. Basic object of World Party is to establish the World Government and deal with the international issues that each government cannot solve for itself. (In addition issues in each country for which present rulers can not solve for its peoples). 3. World Party has a branch in each country. Basic object of each branch is same as World Party. But each branch can have its own policy. For example, World Party Japan can declare the liberalism and World Party China can declare the communism. (However internationalism is necessary. It must work for all peoples of the world on basis are for humanity). 4. At the Convention, each member has 1 vote. 5. (Meetings may be called whenever a few member demand). 7. In addition to development of world party we make effort for our aim of establishment of Government of World, its constitution and a body. The world is a common place of living for the all people of the world. All people are dependent to each other in number of ways. A single person could not do anything in a short period of life. The fruit of effort of past people are enjoying present people. The present people have to make effort for future generations. Every person has many good qualities to produce new thing for other peoples and coming generations. There are many people who want to work for all people of the world but there was not any organisation in the world, which could join these efforts into a form. The Government of World is also the solution to remove poverty from the world. It will employ all people of the world, develop whole world and provide peace to all nations of the world. The government of world will utilize all resources of the world equally for all people. It will provide equal right, rules and regulations to all people. It will also provide justice and security all people of the world. The government will be responsible for development of the whole world. The cost of defence will be utilized for removing poverty from the world. It is easy to strength the government of the world by an international currency. This message will convert the people effort from individual thinking to the development of world. In past it was difficult to manage whole world but recent development and advances in technology have made it easy to establish a powerful single government of world for all people. The full new infrastructure of world will provide jobs to all people of age 18-60 years. The child and old people will be given benefit to live in the world as member of world society. All countries have different infrastructure with some good qualities. All the good qualities will be multiplied in the world government. All the people of the world are a nation on basis of age and technology. It is no doubt that choice of work, taste of eating, style of life and religion of the people is different from each other in the world. The Government of world will not interfere in their personal life. The people will be free in this respect. INTERNATIONAL CURRENCY of Government of World will be printed in a lot to fulfil the thirst of currency and development of World. There was not an institute/organization in the world, which bear responsibilities for all peoples of the world. It will balance power of United Nation. All the member countries will have equal powers no veto power will be allowed to any country. All the issues will be solved with discussion. The Government of world will solve issues in which United Nation failed. The World Government will also take additional responsibility and aim, which are not objective of United Nation. The dispute and injustice within the each country or with other countries will be solved with the Government of World. Mr. Toshio Suzuki, author, wrote two articles "A. 2020" and "B. A Recent Forecast of World Affairs." This article is a forecast for the year 2020. This article is long. So, at first, major conclusions are written. The conclusions are forecasts for 2020, especially focused on following 3 points. 1. In the world, establishment of World Government will become a common sense until 2020. 2. In Japan, until 2020, opinion to abolish the Emperor System will be much stronger. Article 9 of Constitution of Japan prohibits Japan from having a military force. There is an opinion among some people that the article 9 should be revised so that Japan can have the official military force. If the movement to revise the article 9 actually occurs in the Diet, it will be an occasion when the argument to abolish the Emperor System will break out among ordinary citizen. But, Emperor will continue to exist in the private sector and will be respected customarily or privately. Once the system is abolished, if we insist to restore the system, we will be laughed at. This is just like that if we insist to abolish the Diet and Cabinet of Japan and restore the Shogunate (feudal government), we will be laughed at. 3. In Japan, until 2020, financial debt of Government of Japan will be too heavy to refund it. So, the Government of Japan will have to stop the refund of national bond. When this happens, it will become another occasion when the argument to abolish the Emperor System will break out. Now, in May 2003, I would like to express my opinion on the political and economic situation of world in 2020 and, as I am a Japanese, my opinion on that of Japan. Needless to say, 21st century is characterized by the diffusion of Internet. Now, people in the world can exchange information and opinion at the grassroots level. So world will change drastically and we need philosophy and vision for the 21st century. The following is a vision for the year 2020 from a viewpoint of a World Citizen aiming to establish the World Federation and World Government. Here, World Federation is a worldwide federation of independent countries and World Government is the central government of World Federation. Especially, with regard to Japan, generation gap between pre-war generation and post-war generation is very large. Japanese of pre-war generation received traditional education but post-war generation received American type democratic education. 2020 is the year 75 years after the end of World War II. So, in 2020, most Japanese are post-war generation. So, until then, political awareness of Japanese will change drastically. Here, author's vision is based on the philosophy that "Truly good thing shall become a common sense." In other words, "The truth shall become a common sense." Needless to say, truly good thing is different from age to age and place to place. For example, in 10th century, if we insisted to establish the national congress, we would have been laughed at. But in the present age, if we insist to abolish the congress and restore the feudal dynasty, we will be laughed at. This is because in 10th century, feudal dynasty was truly good thing and now democracy is truly good thing. So if truly good thing changes due to the stream of history, the common sense will change. And, if the common sense changes, the world will change. So, we must think about future vision. Now, some people are aiming to establish the World Federation and World Government. It is a popular idea among minor people but will become a common sense among world people because Internet will be diffused more densely and the benefits of World Federation and World Government are formidable. Basic benefits of World Federation and World Government are as follows. 1. World Government can reduce or prevent the war and so the destruction by war is reduced or prevented. 2. World Government can reduce the military expenditure. Thus, the best economic policy is to establish the World Federation and World Government. Especially, these benefits are important for developing countries. There are many ideas on how to establish the World Federation and World Government. One idea is to establish the World Parliament without legislative power like European Parliament. World Federation and World Government are established on the basis of this parliament. This idea is, among some people, a common sense and being promoted. My idea is one of these. The process to establish the World Government is based on a paper "International Party for the World Government" which is published from the World Government Institute. Following policy is a modified one from the above paper. The basic policy is to directly elect the delegates of each country in proportion to population and send them to the World Parliament. The World Parliament which is proposed in the paper is composed of 2 houses and each house has basically 1,000 delegates. A numerical example of apportionment of member is as follows. It is assumed that the world population is 6 billion, of which China 1 billion and 180 million, India 956 million, USA 266 million, Japan 132 million, Western Samoa 161 thousand, and Cocos Islands 1 thousand. Total number of parliament member is basically 1,000, so the delegates from China are 196.6667, from India 159.3333, from USA 44.3333, from Japan 22.0000, from Western Samoa 0.0268, and from Cocos Islands 0.0002. In this case, the delegates from China are 197 of which the last delegate has the 0.6667 vote. Similarly, delegates from India are 160 of which the last delegate has the 0.3333 vote, USA 45 delegates of which the last delegate has the 0.3333 vote, Japan 22 delegates. The delegate from Western Samoa is 1 who has the 0.0268 vote and Cocos Islands 0.0002. Therefore, the total number of vote is approximately 1,000 but the total number of delegate is more than 1,000. Thus, this policy is to get the support of people by electing the delegates from each country in proportion to population. This is based on the thought that only the support of people can establish and maintain the World Government. In order to attain this, the World Party in each country fights the election insisting its main policy and, after getting the power, it will enact the law for that and conduct the election. For example, in Japan, if the World Party gets the power, it will enact the law, conduct the election, and elect 22 delegates for the World Parliament. On the other hand, if the World Party gets the power in USA, it will elect 45 delegates. Even if the election is conducted in only 2 countries, it can form a part of the World Parliament. Other countries can join later. Thus, a part of the World Parliament can develop to the entire World Parliament. The World Parliament on the early stage is a consultative assembly without legislative power. This is similar to the European Parliament. So each country and region remains independent and has no duty to follow the decision of World Parliament. So, even if China and India collaborate, they cannot rule the world dominantly. If this World Parliament works well, it will be vested the legislative power and enact the World Constitution. Like this, from a part of the World Parliament, it will become the true World Parliament. The delegates sent from each country and region must be those directly elected by people. So, even if a country under dictatorship sends the delegates without election, they are not treated as parliament members. In this case, they can be treated as observers and they can vote as observers. Their votes are counted separately from those of official delegates. In these days, most countries and regions send representatives to Olympic Games. So it does not seem impossible to send the delegates to the World Parliament. World Party authorizes other parties if their policy on the World Government matches with that of World Party. For example, World Party will authorizes Liberal Democratic Party in Japan, Democratic Party in USA, Congress Party in India, Communist Party in China etc., if their policy matches with that of World Party. Thus existing parties also can become the international party for the World Government. "Coalition for an International Criminal Court"
With regard to international party, parties of that kind will increase. These types of parties are, for example, Green Party and Transnational Radical Party. World Party is of this kind. But it is just an idea at present. On the other hand, also economic aspect of world is very important. In the age of globalization, rich people are becoming richer and richer but poor people still remain poor. Among 6 billion people in the world, 1 billion people are suffering from mal nutrition. So World Federation and World Government will play very important role. USA and Japan are playing very important role. In 1999, GDP (Gross Domestic Product) of USA is 30.3 % of world GDP and that of Japan is 14.4%. GDP of both countries is 44.7% of world GDP. Author is living in Japan. So I would like to write about Japanese economy. Here, let us briefly review the history of Japan. A brief chronology is as follows. 1192: Kamakura Shogunate (Japan's feudal government at Kamakura) was established and continued until 1333. 1297: Tokuseirei (an order of cancellation of debts) was issued. 1336: Muromachi Shogunate (Japan's feudal government at Muromachi, Kyoto) was established and continued until 1573. 1441: Shashakus (people engaged in transport business by borrowing wagons), Bashakus (people engaged in transport business by borrowing horses), and farmers got the Tokuseirei from the Muromachi Shogunate. 1467: Ohnin Riot broke out and the Civil Wars Period, which continued until 1590, began. 1590: Japan was unified by Hideyoshi Toyotomi. 1603: Edo Shogunate (Japan's feudal government at Edo (present Tokyo)) was established and continued until 1867. 1841: Tadakuni Mizuno, a member of Shogun's Council of Edo Shogunate, implemented the Tenpo Reform and issued the Kienrei (an order of cancellations of debts) and exempted the part of debts of Hatamotos and Gokenins (direct and low-grade retainers of Shogun). 1853: Commodore Perry came to Uraga, Japan. Next year, US-Japan Peace Treaty was concluded. 1932: 5.15 Incident. Prime Minister Tsuyoshi Inukai was murdered. 1936: 2.26 Incident. Finance Minister Korekiyo Takahashi and others were murdered. 1941: In November, USA presented the Hull=Note which required concessions such as the withdrawal of Japan from China and Vietnam. In December, the Pacific War. 1945: The end of the war. 1946: The Constitution of Japan was announced. 1947: The Constitution of Japan became effective. Emperor became the symbol of Japan. History of Japan is divided into following periods. Some periods overlap with each other. Yamato Period . . . 4 - 8 A.D.
Nara Period . . . 8 A.D.
Heian Period . . . 8 - 12 A.D. In the history of Japan, Emperor has been playing a very important role. From around 6th century, Emperor had been ruling Japan until 1192. But from around 1192, Japanese warriors, namely Samurai or Bushi, began to get the power. In 1192, Yoritomo Minamoto was appointed by Emperor to the Shogun. Shogun was the commander-in-chief of an expeditionary force against the barbarians. He established the Kamakura Shogunate at Kamakura. The Shogunate existed from 1192 to 1333. After a short period of conflict, Muromachi Shogunate was established at Muromachi, Kyoto. In this Shogunate, Takauji Ashikaga was appointed by Emperor to the Shogun. This Shogunate existed from 1336 to 1573. But, the Ohnin Riot broke out in 1467. After the riot, country entered into the Civil Wars Period. In the Civil Wars Period, Muromachi Shogunate existed only in name until 1573. This Civil Wars Period continued from 1467 to 1590. In 1590, Japan was unified by Hideyoshi Toyotomi. He could not become the Shogun but was appointed by Emperor to Taiko. Taiko was a father of Imperial Adviser. After he died, Ieyasu Tokugawa got the power. He was appointed by Emperor to the Shogun and established the Edo Shogunate at Edo (present Tokyo). The Shogunate continued from 1603 to 1867. In the most period of Edo Shogunate, Japan was put under the isolation policy. Namely, Japan had no trade with foreign countries with few exceptions. In 1853, Commodore Perry from USA came to Uraga, Japan, and required to open the country. Next year, US-Japan Peace Treaty was concluded. Around 1867, feudal lord gathered under the banner of Emperor to overthrow the Shogunate. After the Shogunate was overthrown, the rule by Emperor was restored. By that time, Emperor sometime directly ruled Japan and sometime customarily appointed the ruler of Japan. Emperor was respected customarily but not stipulated by the constitution. In 1889, the Constitution of Great Japanese Empire was promulgated and, for the first time, the Emperor was stipulated by the constitution as the head of state. Here, the prewar Emperor System was established. In 1945, Japan was defeated in the World War II, and the Constitution of Japan was announced in 1946. The Constitution became effective next year, and the Emperor became a symbol of Japan. In the constitution, Prime Minister of Japan is nominated by the Diet and appointed by Emperor. Thus, except for some short periods, Emperor directly ruled Japan from around 6th century to 1192, appointed Shogun of Shogunate from 1192 to 1867, ruled Japan directly according to the constitution from 1867 to 1945, and has been a symbol of Japan and appoints the Prime Minister of Japan according to the constitution from 1947 till now. Now, Japan is a democratic and peaceful country. But it has potentially a serious problem. Basically, if the US army staying in Japan withdraws from Japan, there will emerge a condition that incidents like 5.15 Incident or 2.26 Incident occur and militarism comes again. So we must abolish the Emperor System. But we need to establish the World Federation and World Government before denouncing US-Japan Security Treaty because, if US army leaves Japan, Japan will loose the nuclear umbrella. The war of Japan had finished in 1945. Since then, economy of Japan has been growing smoothly and had joined the members of advanced countries. Peace and prosperity have been continuing under the regime of democracy. But many Japanese forget that democracy and peace of Japan have been maintained under the situation where the US army is staying in Japan according to the US-Japan Security Treaty and have not been maintained by the force of Japanese themselves. Here, we need to review the prewar period history where there was no army of foreign country. As shown in the brief chronology above, until US Commodore Perry came to Uraga in 1853, Japan was in the Edo Period and under the mostly complete isolation policy. Until then, Japan had been ruled by the Edo Shogunate and Emperor had been customarily respected as a head of Imperial Palace. Each feudal clan against the Edo Shogunate gathered under the Emperor in order to overthrow the Edo Shogunate. After the fall of Shogunate, the Constitution of Great Japanese Empire was promulgated in 1889 and the constitution expressly prescribed that the Emperor shall rule Japan. In 1945 the World War II ended, and in 1946 the Constitution of Japan was announced and the Emperor lost the political power and became the symbol of Japan. In the Edo period the Emperor customarily appointed the Shogun of Shogunate, from the Meiji Period until 1945 he ruled Japan for himself, and in the postwar period he became the symbol and appoints the Prime Minister following the nomination of Diet. Like this, Japan has changed from a feudal country to a democratic country in less than 100 years. History of democracy of Japan is still shallow as compared with that of USA where the domestic war was eradicated and the democracy was established after the Civil War in 1861. And above all, the democracy in Japan has been maintained under the presence of US army in Japan and have not been maintained by the force of Japanese itself. As for the history of wars of Japan with foreign countries, Japan advanced to Asia step by step. When Japan advanced to Manchuria in China and caused the Manchurian Incident in 1931, Chinese Nationalist Party appealed to the League of Nations and the League, accepting this, dispatched the Lytton Investigation Committee to Manchuria. In 1933, general assembly of the League passed, with 42 : 1 (1 is Japan) and 1 abstention, the advisory opinion toward Japan which required the withdrawal from Manchuria and other concessions. But Japan withdrew from the League. There is an opinion that, in 1941, USA came up with the Hull=Note which contained the unacceptable requirements such as withdrawal from China and Vietnam, and so Japan had to open the war against USA. In the Note, USA insisted that if Japan does not accept the Note, USA will stop the supply of necessary materials like oil. But we should think that at the point of withdrawal from the League, Japan had already been on the route of invasion. On the other hand, in Japan, 5.15 Incident and 2.26 Incident were carried out by young officers of the navy and the army who support the Emperor, and VIPs of government such as Prime Minister Tsuyoshi Inukai or Finance Minister Korekiyo Takahashi and others were murdered. Although the rebel armies were suppressed and punished, these coups made the parliamentarism powerless and Japan proceeded to the militarism. We can think that if the powerful troop like US army were staying in the country, incidents like 5.15 Incident and 2.26 Incident did not occur and the democracy did not collapse. Japan and Germany are same in the point that the democracy which was established to some extent collapsed. On the other hand, in the present day, Japan has become a democratic and peaceful country. But they are the democracy and peace under the presence of US army in Japan based on the US-Japan Security Treaty. If the Security Treaty is denounced and the US army withdraws from Japan, Japan will enter into the situation where incidents like 5.15 Incident and 2.26 Incident may occur, the parliamentarism looses its power, and the militarism may come. But Japan is same as a colony as far as the troop of foreign country is staying in the country like now. It is needless to say, if we see the present diplomacy of Japan. It is a natural stream that Japanese will try to recover the dignity of independent country. But, if the US army withdraws from Japan, the situation will be same as the prewar period. Therefore, we inevitably reach the conclusion that the way of Japan is to abolish the Emperor System that was the axis of militarism, to introduce the President System, and to denounce the US-Japan Security Treaty. This is a natural conclusion if we consider what Japanese army did in the war, that Japan was defeated after being bombed by the atomic bomb, and that the top of regime of Japan was the Emperor. At the same time, in the process of abolishing the Emperor System and introducing the President System, we must watch the attitude of members of Self-Defense Forces so that the Forces will stay under the civilian control. Persons who may revive the militarism must not be given important positions in Self-Defense Forces. Thus, Japanese must become a nation who can maintain the democracy and peace by its own force. Originally, the Emperor was the authority which a person in power in the feudal age revered in order to make the people obey, and the power of person in power was hereditary. The Emperor is hereditary and so privileged people around the Emperor are also hereditary. This is contradictory to democracy. In the present age when the world can exchange information at the grass-roots level through the Internet, democracy is just the inevitable stream of history. But if US army leaves Japan, nuclear umbrella over Japan is removed. So World Federation and World Government must be established before US army leaves Japan. The abolition of Emperor System in Japan is not the matter for Japan only. Asian countries invaded by Japan in the prewar period are afraid of Japan's return to militarism. If Japan abolishes the Emperor System, introduces the President System, denounces the US-Japan Security Treaty, and becomes a truly democratic country, it will be a great benefit for Asian countries and the world. This is a matter to be discussed at the level of United Nations. Author thinks that the Emperor is a great tradition of Japan, but it should not be in the political system but in the private sector and should be respected privately or customarily. Like status and holly land such as the Pope and Vatican of Christianity, Mecca of Islam, Varanasi of Hinduism, etc. that are respected by custom, the Emperor should be respected by custom. At the time of abolition of Emperor System, compensation such as lump sum, pension, etc. to Imperial Family and related people will be necessary. Needles to say, Japan has been in recession for more than 10 years. In 2003, debt of government finance amounts to 140 % of GDP. Unemployment rate is about 5.4% and this is the worst record after the World War II. We can read many articles on Japan's economic recession. But no article points out the true reason. If we want to know the true reason, at first, we must understand the history of Japan. If we look back the age when the national finance was in crisis in the history of Japan, we can see that the past age and the present age resemble each other very well. In the Kamakura Period (1192-1333), the Kamakura Shogunate issued the Tokuseirei (an order of cancellation of debts) in 1297. Thirty-six years later, the Shogunate was overthrown in 1333. In Muromachi Period (1336-1573), Shashakus (people engaged in transport business by borrowing wagons), Bashakus (people engaged in transport business by borrowing horses), and farmers got the Tokuseirei from the Muromachi Shogunate in 1441. Twenty-six years later, the Ohnin Riot broke out in 1467 and the country entered into the Civil Wars Period (1467-1590). In the Civil Wars Period, Muromachi Shogunate existed only in name until 1573. In this period, Japan was in the anarchy for more than 100 years. Each country fought to unify Japan. In the Edo Period (1603-1867), Tadakuni Mizuno, a member of Shogun's Council of Edo Shogunate, implemented the Tenpo Reform from 1841. He issued the Kienrei (an order of cancellations of debts) and exempted the part of debts of Hatamotos and Gokenins (direct and low-grade retainers of Shogun). Furthermore, he tried to extract a huge amount of government funds from merchants. These government funds were, as it were, forced public bonds because they are to be refunded with interest. Furthermore, he issued a great amount of money by lowering the quality, and so the inflation occurred. And 26 years later, the Shogunate was overthrown in 1867. From these histories, we know that from 26 to 36 years after the Tokuseirei or Kienrei, Shogunate was overthrown or became only in name. In the process of rise and fall of Shogunate, the debt was bilked. Considering these, we can see that the present age resembles very well the ages when a regime was overthrown and a new regime emerged. Namely, in the present age, there are not only the financial debt but also the policy such as relief of banks and construction companies that cannot escape from bankruptcy. Banks are relieved by injecting public fund and construction companies are relieved by investing into public utilities. Furthermore, some major construction companies and big supermarket stores received the exemption of debts. The amount of exemption amounted to several hundred billion yen per company. But some of them had gone bankrupt and many of them are still in critical situation. These policies can be called the Tokuseirei of present age. Needless to say, in the present age, the government corresponds to the Shogunate. Banks, major construction companies, and some companies closely related to government can be called, considering the connection with the ruling party LDP (Liberal Democratic Party), Hatamotos and Gokenins of present age. Then, if a regime is to collapse, what regime will collapse? It is the regime of LDP with the Emperor System as axis. And what regime will come? It will be the democratic regime based on the President System. The mechanism of regime fall can be explained as follows. Emperor System itself has been continuing while sometime Emperor itself ruled a country and sometime appointed the ruler. But the ruler of country changed many times under the Emperor. The reason why some regimes have repeated the rise and fall is that the Emperor System is a hereditary system. The Emperor System is hereditary so the privileged classes around the Emperor are also hereditary. For example, in the Edo Shogunate, Shogun was appointed by Emperor. But there emerged a gap between the privileged classes such as Emperor, Shogun, Hatamotos, Gokenins, Daimyos (feudal lord), etc. and other people because the privileged classes are hereditary. The Shogunate promoted the purge of outside Daimyos (Daimyos who were not hereditary feudatories of Shogun) and, on the other hand, favored Hatamotos and Gokenins in order to maintain the regime. Inevitably, the finance of Shogunate becomes tight. The Shogunate issued the Kienrei and recast coins and boosted the volume in order to compensate the deficit. Thus, in this process, the complaint of people accumulated and the Shogunate was overthrown. This can be said for the Kamakura Shogunate and the Muromachi Shogunate before the Edo Shogunate also. As written before, in the present age, the government corresponds to the Shogunate. The government, as a policy to prevent the financial crisis, relieves the banks which are inescapable from the bankruptcy, or, as an economic package, apportions the budget of country to unnecessary public utilities to save construction companies, or exempts the debt of some companies close to ruling party LDP. Although banks and major construction companies are, at present, being maintained by these measures, it is going to be impossible to refund the debt of government. Furthermore, ruling party LDP is going to be unable to maintain the power without forming a coalition with former opposition parties. Although Japanese economy is in recession, financial assets of people are more than two times as large as the GDP and Japan is the largest creditor nation in the world. So, financial debt of government is the responsibility of the government. LDP is, being aware of the increase in the debt, apportioning the budget favorably into banks, major construction companies, and other close companies because LDP cannot maintain the power without favoring them that are the supporting base of LDP. So, until 2020, Government of Japan will have to stop the refund of its national bond. Whether it is the Shogunate or the government, this is repeated as far as Japan is ruled by revering the Emperor. Namely, as far as Emperor is in the political system, financial debt of Shogunate or government has to increase up to the point impossible to refund. This is because Emperor is hereditary and so privileged people around the Emperor are also hereditary. Thus, economy of Japan can be called "Debt Bilking Economy." Therefore, we can say that only the democracy can prevent the repetition of corruption and collapse of hereditary power structure. Here, there is another reason, other than to prevent the militarism, why we must abolish the Emperor System and introduce the President System. Here, the abolition of Emperor System is recommended. But, the Emperor will continue to exist after the abolition of Emperor System. The Emperor will shift from political system to private sector and will be customarily or privately respected. It is like Pop and Vatican of Christianity, Mecca of Islam, Varanasi of Hinduism, etc. They are not in the political system and do not have any power legally but are respected customarily or privately. At the time of abolition, compensation such as lump sum, pension, etc. for imperial family and related people will be necessary. The movement to abolish the Emperor System will break out in two occasions. One is the revision of Article 9 and another is the bankruptcy of national finance of Japan. Article 9 of Constitution of Japan prohibits Japan from having a military force. There is an opinion among some people that the article 9 should be revised so that Japan can have the official military force. If the movement to revise the article 9 actually occurs in the Diet, it will be an occasion when the argument to abolish the Emperor System will break out among ordinary citizen. And also, bankruptcy of finance of government of Japan will be another occasion. Namely, financial debt of Government of Japan will lead to the bankruptcy of national finance and the government will have to give up refunding the national bond. This will be another occasion when argument to abolish the Emperor System will break out. Around 2020, we must consider the change of generation of people in Japan also. In Japan, pre-war generation and post-war generation is very different. Pre-war generation received Japanese traditional education. But post-war generation received American type democratic education. The year 2020 is 75 years after the World War II. Namely, in 2020, most Japanese are the generation that received or are receiving post-war education. So, in 2020, abolition of Emperor System will be a common sense among people. Or, at least, opinion that supports the abolition will be clearly stronger. Once the Emperor system is abolished, people will remember it only as a past history. So if we insist to restore the Emperor System, we will be laughed at. This is just like that if we insist to abolish the Diet of Japan and to restore the Shogunate, we will be laughed at. President Bush invaded Iraq without resolution of United Nations. This is a violation of international law. So, at the point of May 2003, a movement to prosecute President Bush and Prime Minister Blair to ICC (International Criminal Court) is active. Although it is my private intuition, if President Bush, after completing his term, is prosecuted to ICC and the serving President admits the arrest of Bush, masterminds who have been controlling Bush may assassinate Bush in order to shut his mouth. But it will be some years later. There is an idea to solve the problem on North Korea. It may be possible to unify the Korean peninsula without bloodshed by overlooking crimes committed so far by Kim Jong Il and his close advisers and by assuring their position and assets to some extent. An example is that, in South Africa, Mr. Mandela got the power after the apartheid was abolished but forgave former president and other white people who imprisoned him for 27 years. North Korea has been driven into corner, so it may depend on negotiation. If the negotiation is held under the assurance of United Nations, it will be persuasive. The following is the annual report of our movement. The report was sent to most members by E-mail and to members without Internet facility by air-mail. Here, I report our movement in 2002. First of all, brief history of World Government Institute, World Party, and World Citizen Network is as follows. 5 February: World Government Institute Canada was founded. 4 May: World Government Institute China was founded. 17 May: World Government Institute Turkey was founded. 18 June: World Government Institute Hungary was founded. 4 September: World Government Institute Egypt was founded. 10 October: World Government Institute Australia was founded. 18 October: World Government Institute Bangladesh was founded. 15 November: World Government Institute Ireland was founded. 5 December: World Government Institute Uganda was closed. 11 December: World Government Institute Ecuador was founded. 18 December: World Government Institute Cameroon was founded. 23 December: World Government Institute Philippines was founded. 5 February: World Party Canada was founded. 4 May: World Party China was founded. 17 May: World Party Turkey was founded. 18 June: World Party Hungary was founded. 2 September: World Party China was closed. 4 September: World Party Egypt was founded. 10 October: World Party Australia was founded. 18 October: World Party Bangladesh was founded. 15 November: World Party Ireland was founded. 5 December: World Party Uganda was closed. 11 December: World Party Ecuador was founded. 18 December: World Party Cameroon was founded. 23 December: World Party Philippines was founded. 5 February: World Party Canada joined. 24 April: World Asian Workers Organization (Pakistan) joined. 4 May: World Party China joined. 17 May: World Party Turkey joined. 18 May: Starlife Global & Cosmic Services (Sweden) withdrew the World Citizen Party Network and the World Citizen Party Network was renamed as World Citizen Network. 14 June: World Party India joined. World Party Russia joined. 18 June: World Party Hungary joined. 21 June: World Party Tanzania joined. 2 September: World Party China withdrew. World Government Institute China joined. 4 September: World Party Egypt joined. 10 October: World Party Australia joined. 18 October: World Party Bangladesh joined. 15 November: World Party Ireland joined. 5 December: World Party Uganda withdrew. 8 December: World Party Lithuania joined. 11 December: World Party Ecuador joined. 18 December: World Party Cameroon joined. 23 December: World Party Philippines joined. These histories are written in the following pages. ############## The following is a copy of mail of introduction. New member has joined us. His name is Mr. ****** ****. His application is as follows. ********************************* The below is application. ********************************* The above is application. Welcome to our group. Following pages have been revised. If there is misunderstanding between us, please do not hesitate to object. If applicant wants, address is not published. But when new branch is founded, the address must be published. Now we are a private group. In the legally registered political party, we need the party statute. There is a page for party statute. Every member can propose idea. It will be published on the site. From ideas of members, a provisional statute is made and it will be published. It will be reviewed and revised by members and approach the official statute. The official party statute is recognized and the president is elected at the World Party Convention. Present strategy is to unite and get the confidence of people. If people trust us, some people may donate fund for election. Another strategy is to write books that verify the benefits of World Government. At present, our web site [ http://www.w-g.jp/ ] is administered by me because I am paying the necessary cost. But in the future, if our party becomes a formal party and we get enough funds to maintain the web site and necessary activity, I donate the ownership of web site. The owner can be a legal person but the owner must reside in Japan. Like this our group will grow and finally become a formal party. This is my present view. In the history of world, the League of Nations started with about 40 countries, United Nations started about 50 countries, and ICC (International Criminal Court) needed 60 countries at the minimum to start. So if our branches reach 50 or 60 countries, something may change. Now our branches are too few. After our branches reached 60, we should take new actions. For example, we can send mail for fundraising to many organizations and people. Anyway, first of all, we must get the confidence of people strong enough to win at election. Mr. Yoshiyuki Shiratsuchi, Japan, has a web site collecting signature for world peace. Please visit and give signature. ############## The above is a copy of mail of introduction. We can know our situation from the above. Our idea is not the only idea possible. We should understand other ideas also, and if we find a better idea, we should join them. Now, our journal Voice for World Government - 2003 is being prepared. Member can contribute article or write one chapter of journal. The contribution will be published in the new edition or in the later edition. At present, article of Mr. Nigel Harris (United Kingdom, proposal for World Parliament), Mr. Shiratsuchi Yoshiyuki (Japan, Peace Sign), Dr. Mohammad Amin (Pakistan, A draft of the World Party Statute), Mr. Zeng Zuqing (China, A Draft of the World Party Statute), and author (Japan, A draft of the World Party Statute) are to be published. This journal is periodically published and sent to the world government re­lated organizations in the world. Here, readers are requested to send donation for the cost of this pro­ject. Please send donation to the bank account below. The bellow is the account of World Government Institute Japan. World Government Institute Japan invites volunteer staffs and contribution of articles to be published. The articles will be published in this journal. World Party Japan has a plan to send candidates to the election of National Diet of Japan and to send fund to branches in developing countries. World Party Japan also requests the donation. Please send fund to the bank account below. The bellow is the account of World Party Japan. After raising fund for election, World Party Japan will send the candidates to election. Both for World Government Institute Japan and World Party Japan, revenue and expenditure will be reported on the web site and in this journal. The name of donators will be published as far as the donators do not refuse it. Also World Party Japan is inviting party members and volunteer staffs. World Citizen Network is also inviting people to join us. International cooperation is the source of power of World Party and World Citizen Network. 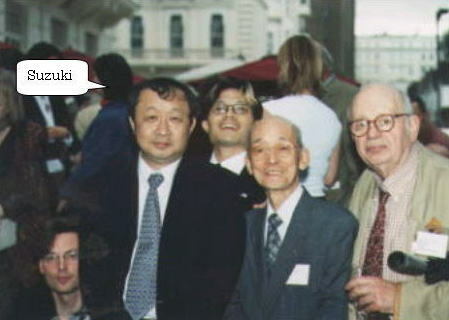 So far, World Government Institute Japan and World Party Japan have not received donation.